Surface Finishes has a comprehensive suite of metrology tools and methods to quantify results and validate that the parts we finish meet your specifications for geometric and dimensional accuracy and surface finish. With our combination of optical, contact and capacitance measurement systems we insure that you are getting what you have asked for. While other shops may claim to produce high precision parts, we pride ourselves on being able to demonstrate that our work meets your specifications. 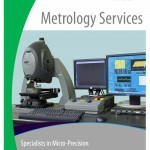 Our metrology services are also available on a contract basis to support our customers as they develop specific requirements and refine specifications. Surface Finishes helps you take the guess work out of your design and manufacturing processes. We have a variety of methods for measuring surface roughness including linear profilometers and the Zygo New View white light interferometer. We can further measure and report important properties such as bearing ratios, skewness and kurtosis. For optical applications we have the ability to perform Scratch-Dig inspections. 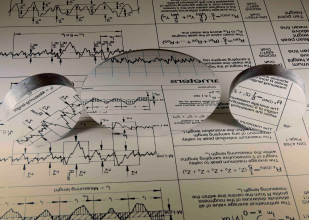 Flatness properties can be measured using optical, contact and capacitance methods. For optical measurements, we utilize Zygo GPI interferometers capable of measuring up to a 6” aperture. We also have a variety of Newton interferometers and optical flats ranging in sizes up to 36” in diameter to measure larger parts. Roundness and cylindricity are measured using a Precitech Roundness Tester and precision gauges for accuracy in the range of 2 to 5 micro inches. Angularity can be measured using our autocollimators for accuracy of 0.5 arc seconds. Surface Finishes has a variety of solutions to meet your measurement requirements for a specific application. For wafers we have an Ultra Gage 9500 tool. For other applications we use optical methods, precision drop gauges and capacitance probes.